My parents and I met up with my sister in Salt Lake City, for a family vacation to Moab, Canyonlands, Arches, and the cliff dwellings at Mesa Verde (May 2012). I also just took a three-week plane trip to visit my sister in Salt Lake City, and friends in Colorado and Seattle (and a short trip to Vancouver). This involved a lot of mountain climbing in Colorado and hill climbing in Seattle. Photos here on Facebook. 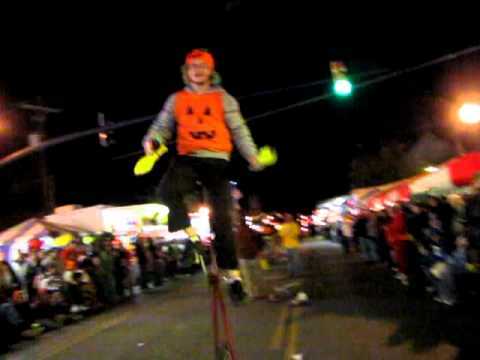 Each October, the Jest Jugglers head down to Circleville, south of Columbus, Ohio, and show off their skillz in front of the crowds during the Thursday Pumpkin Festival parade. Most of us aren't entertainers, so you'll see a lot of dropped balls/clubs as we try to do the fun tricks that don't always come out right! I've been playing piano in a band since last spring! We're called Vox Voronet. (We got the name "Voronet" from an ancient monastery in Romania.) Our singer and guitarist, Andy, I've known since we were in elementary school and he was so far ahead in reading he was in a reading group by himself. Chris plays bass and synth and Matt plays drums, and both are excellent musicians from Youngstown. We play all original music and each make up our own parts. On the weekends we converge on Andy's living room outside Garrettsville and generally make an organized ruckus. In between there's a lot of practicing and composing and recording to do, and working on promotional materials, and emailing and networking to get in the door and play shows across northeast Ohio, Pittsburgh, and soon, Columbus. Being in a band is amazing but a lot of work! To join our mailing list to find out about upcoming shows, go to our MySpace page and scroll down on the right. I sat down at the keyboard and this was the third of some piano grooves I came up with. I worked on it for a few weekends. My first new song in years! Last year I bought a Yamaha YPG-635 digital piano, with weighted keys and a great piano sound. It's plugged into my MacBook which runs GarageBand. I used to use a Fostex 4-track tape deck, and then a version of ProTools on my Power Mac 8600 (bought in 1998). Andy and I worked on a few recordings with these setups, but they were hard to use, and we weren't even doing anything that complicated. Now multi-track recording is so much easier. 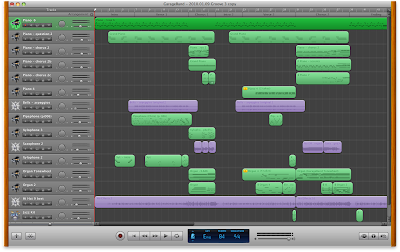 This instrumental is mostly piano and bell sounds but has some organ for the exciting parts and a little saxophone. I also had a hi-hat cymbal in the basement that's fun to play. I don't know anything about drumming but it sounded better than something canned for the drum track. Hope you can enjoy it even though it's a little rough. I'd make a lot of changes if I had more time, inspiration, and experience. Inspiration came from my friends and from music I've listened to over the years like MMW (Medeski, Martin, and Wood), the Doors, Led Zeppelin, Van Morrison, and even some Japanese music. Early Beck albums opened my eyes to the potential of badly played percussion. For my recordings from years ago, see my old Music page. 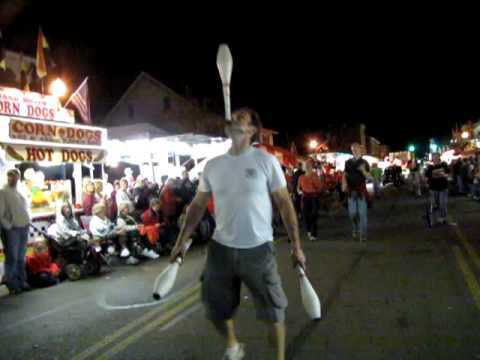 Every year the Jest Jugglers (MySpace, Meetup.com) head down to Circleville south of Columbus to join the parade for the Pumpkin Festival. My skills probably barely register as entertainment-level, but it's lots of fun to be there with the rest of the folks. Above: crowds gather in amazement at my three-ball cascade. 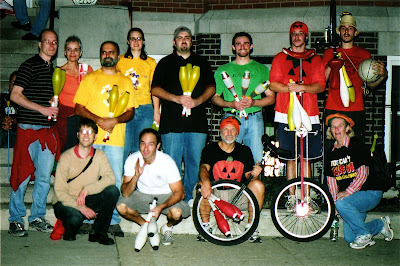 The Columbus Jest Jugglers warming up before the parade. Featuring: Evan, Jesse, Wes, Lamar, Tony, Nick, Liz, Owen, Ginny, Lynn, and Tom (above, or YouTube link). 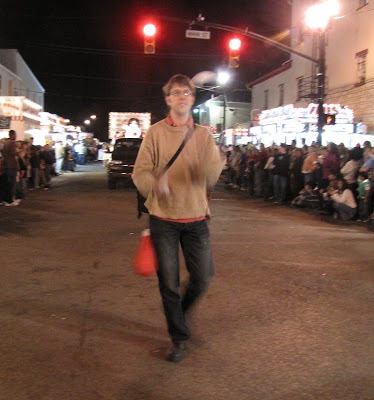 Barely controlled chaos of jugglers in the parade (YouTube link). Lynn's-eye view of parade, Wes doing three-club tricks, Jesse getting up on the six-foot unicycle, Lamar juggling five balls, Owen orbiting on his unicycle, Evan passing out balloons (YouTube link). The jugglers pass by as we near the end of the parade (YouTube link). The crew, back row: Tom, Lynn, Tony, Liz, Nick, Lamar, Evan, Jesse. Front row: me, Wes, Owen, and Ginny. Is Hermione Granger White? Is Charlotte Lucas Gay? For Refugee Children, Reading Helps Heal Trauma - Psychologists find that story time can build the strong relationships they need for healthy development.